Payboy allows you to customize how leaves are taken throughout your organization. 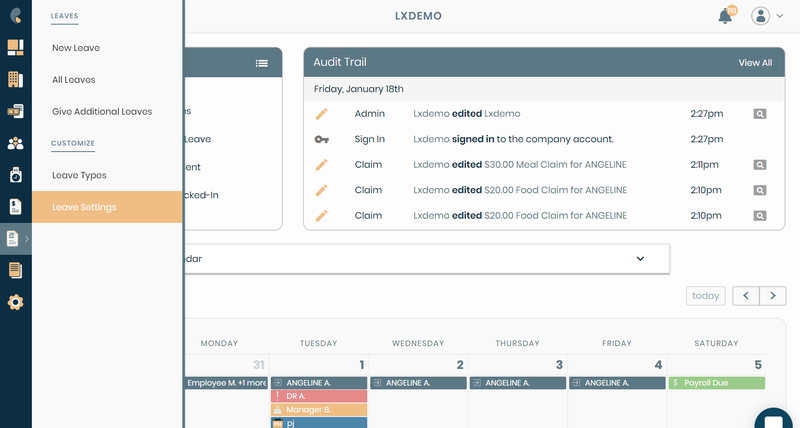 This module lets you enable or disable the leave module on your employee's portals. 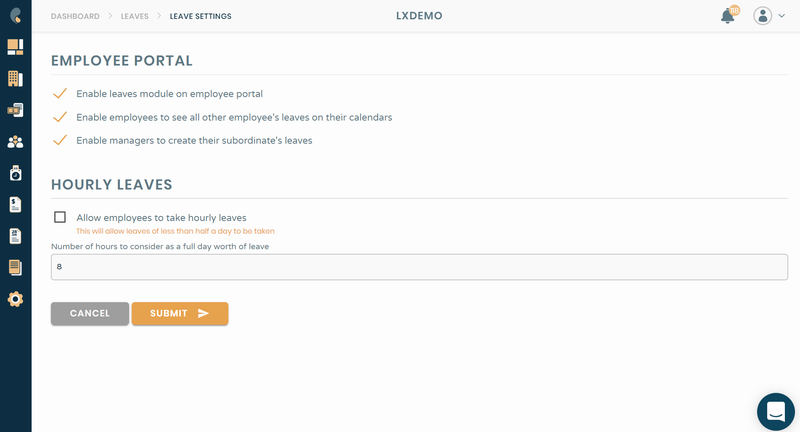 You can also enable or disable employees to see the leaves of their colleagues, and enable or disable managers from creating leaves for their subordinates. You can also enable or disable an hourly leaves system for your organization, and set the threshold of hours to be considered a full-day leave. Feel free to contact us if you face any difficulties through the support chat icon on the bottom right of the screen, or email support@payboy.biz. We will get back to you within 3 working days.